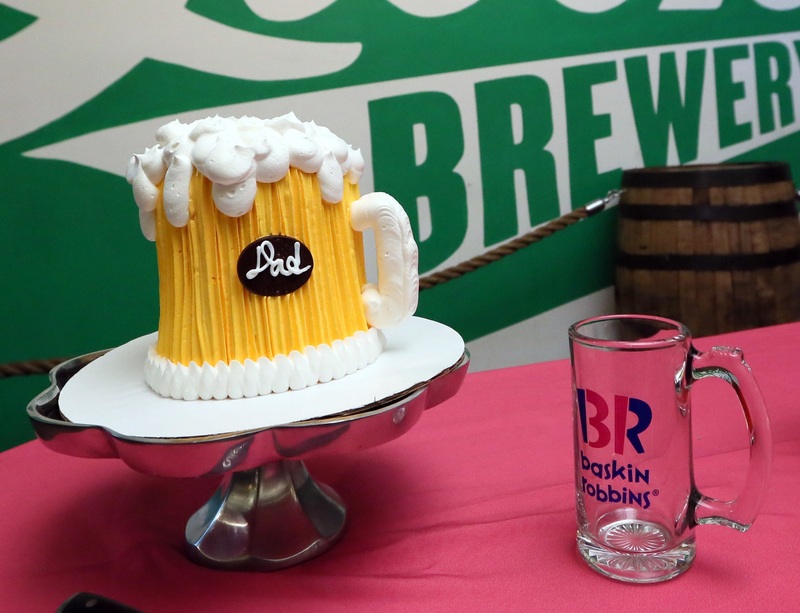 With the summer season getting into full swing, and Father’s Day just a few days away, we thought it would be fun to revisit our ice cream and beer pairings from last year, inspired by our fun and frosty Cold One Cake, and give them a new spin for 2017. 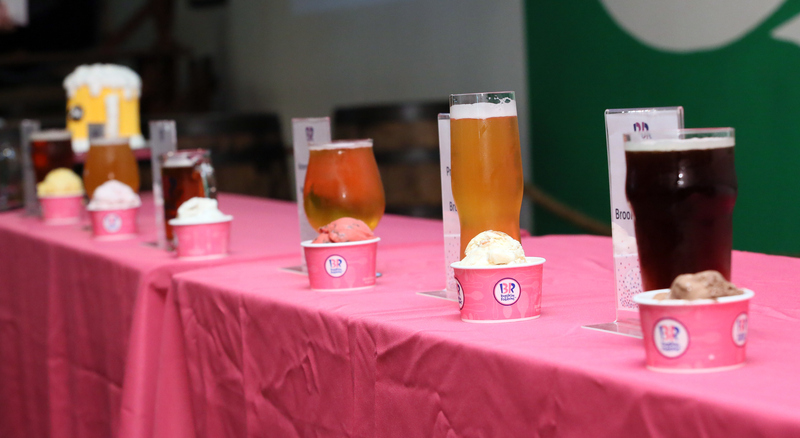 Last night, we held a fun ice cream and beer tasting event at Brooklyn Brewery, where our own Chef Kelly German walked attendees through a new set of ice cream and beer pairings. 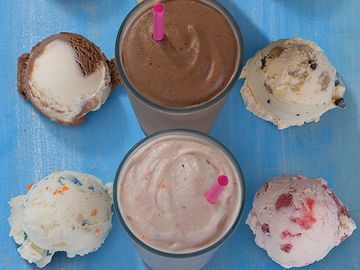 This year’s pairings, which we put together with our friends at All About Beer Magazine, focus on our range of delicious summer ice cream flavors, as well as a few classics like Pralines ‘n Cream, Chocolate and Very Berry Strawberry. 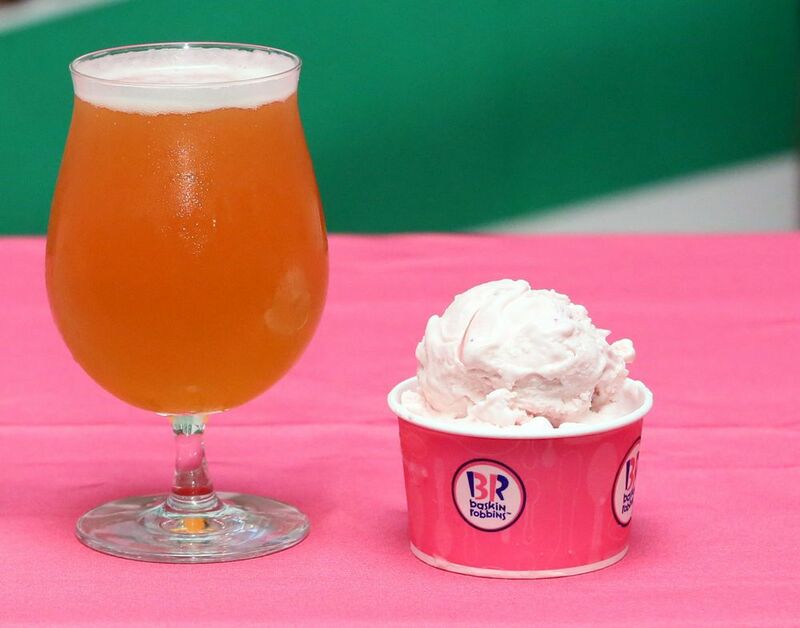 Mango Breeze and IPA: This creamy ice cream boasts big, vibrant fruit flavors from the mango ice cream and mango-flavored ribbon. Those notes fit right in with an IPA’s hops, while an additional layer of mango notes cover the beer’s malt sweetness. Very Berry Strawberry and Saison: Very Berry Strawberry is made all the more creamy when sipped with saison, bringing forth a citrus burst of lime and orange. Rich vanilla blankets the saison’s earthy and spicy qualities, and chunks of sweet berries shine through in this delightful combination. 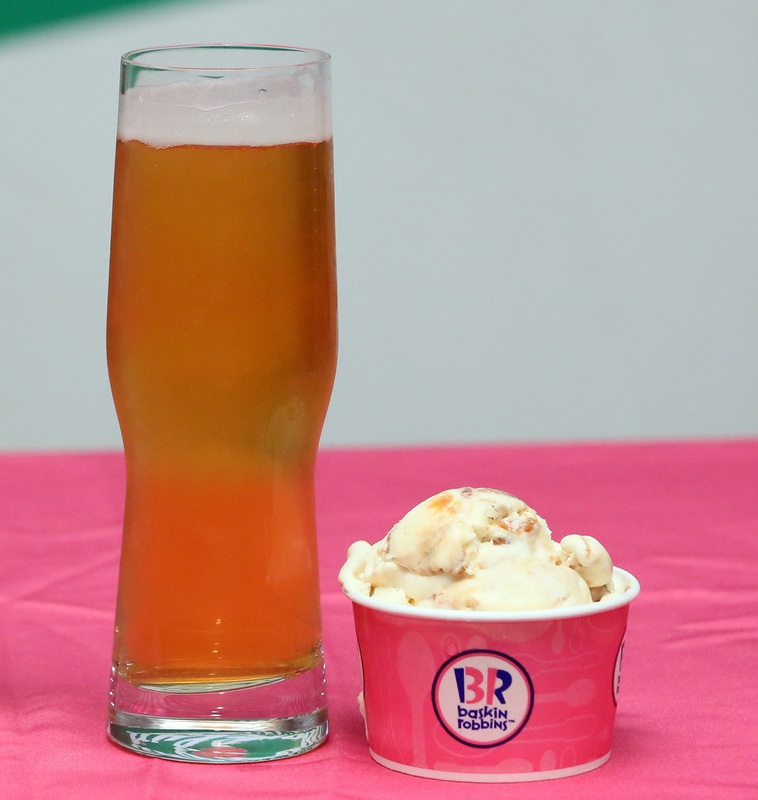 Nutty Coconut and Lager: Crisp lager cuts clean through rich, complex layers of coconut, pecan and walnut. 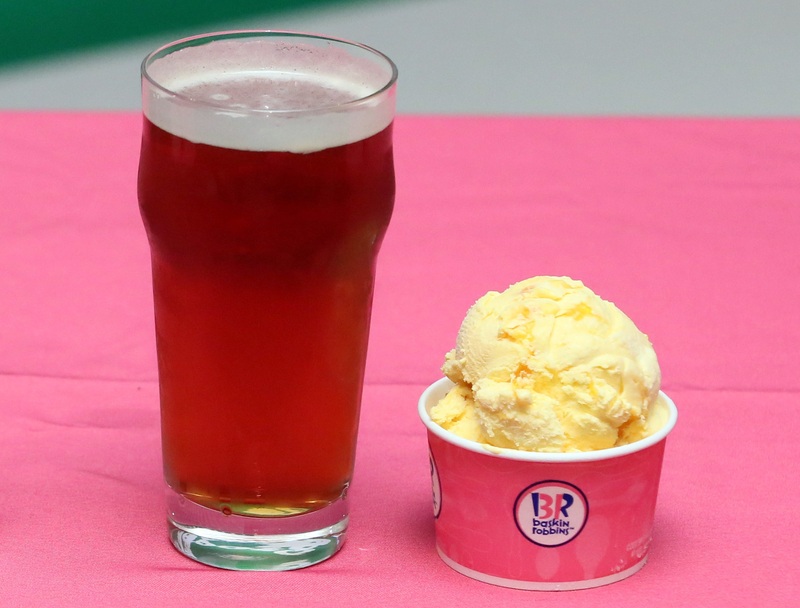 However, the beer also elicits subtle flavors from the ice cream, most notably cinnamon. This pairing is perfectly matched for a summer vacation. 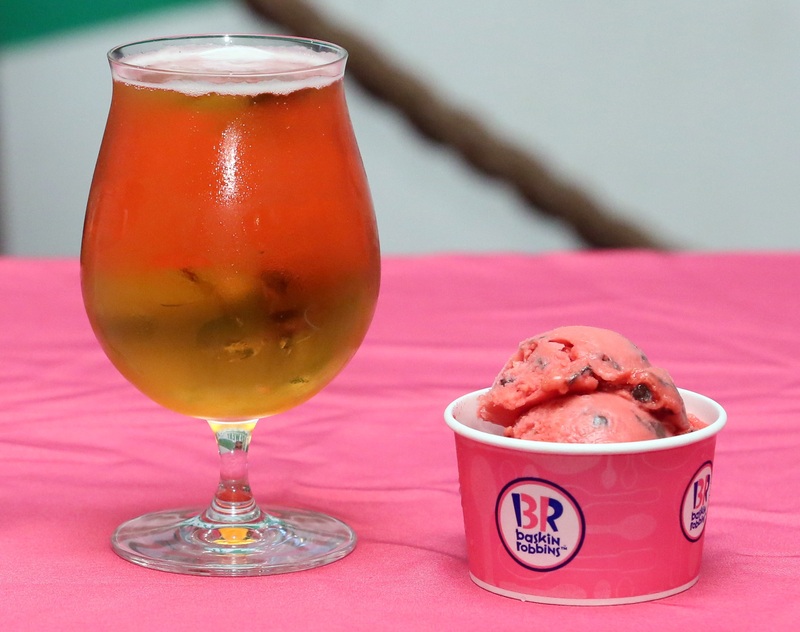 Watermelon Splash Ice and Summer Ale: This combination is perfect for summer, pairing the more floral hops of summer ale with the flavors of a hot weather staple, watermelon. It’s a refreshing combination for the warmer months ahead. 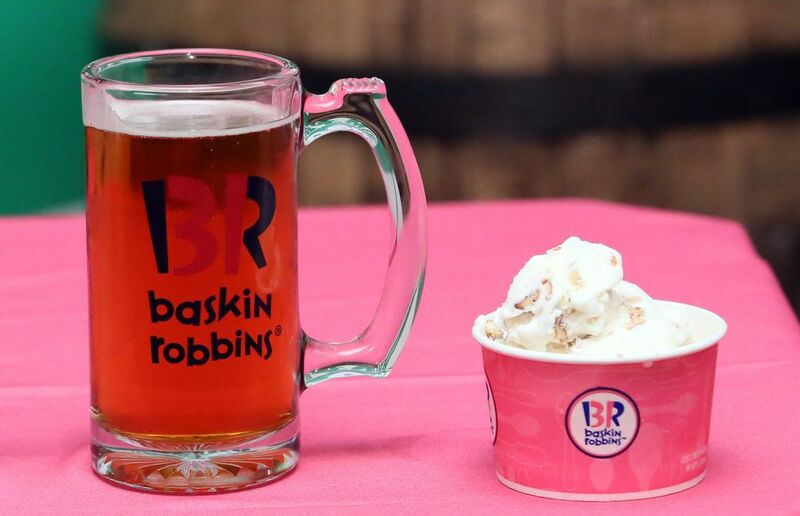 Pralines ‘n Cream and Pilsner: The classic pilsner style, with sweet cereal-like malt takes the place of a cone when paired with this southern-style treat. 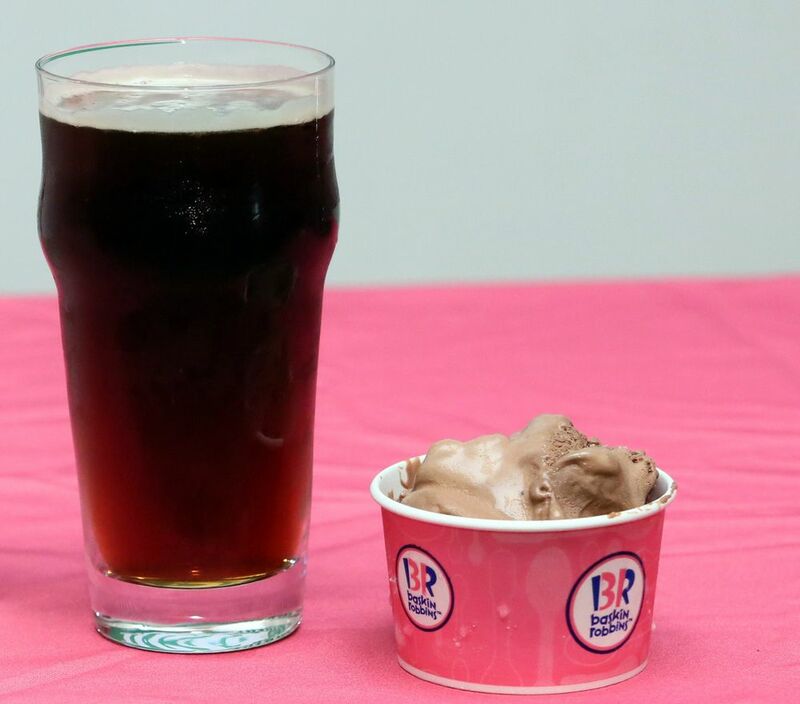 The nuttiness and sweetness of the ice cream balances out some of the more assertive beer flavors, creating a delectable combination. Chocolate and Brown Ale: This beer is bursting with flavors that love chocolate. 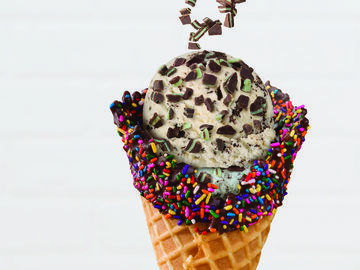 Two classics with great depth and rich sweetness that only get better with each lick and sip. While these pairings aren’t available in our restaurants, you can pick up a quart or pint of Baskin-Robbins ice cream at your local shop, and then bring them to your summer BBQ or Father’s Day celebration to run through a fun and flavorful ice cream and beer tasting of your own. 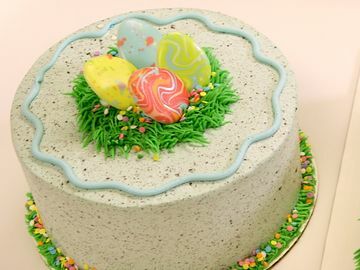 And this year, don’t forget to pick up our eye-catching Cold One Cake or new OREO® Ganache Cookie Cake, which are perfect for any summer celebration or party for Dad. Do you have a favorite pairing from the list above? 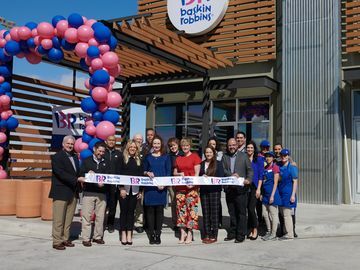 Be sure to tell us about it with the hashtag #BaskinBRews on Facebook, Twitter or Instagram.